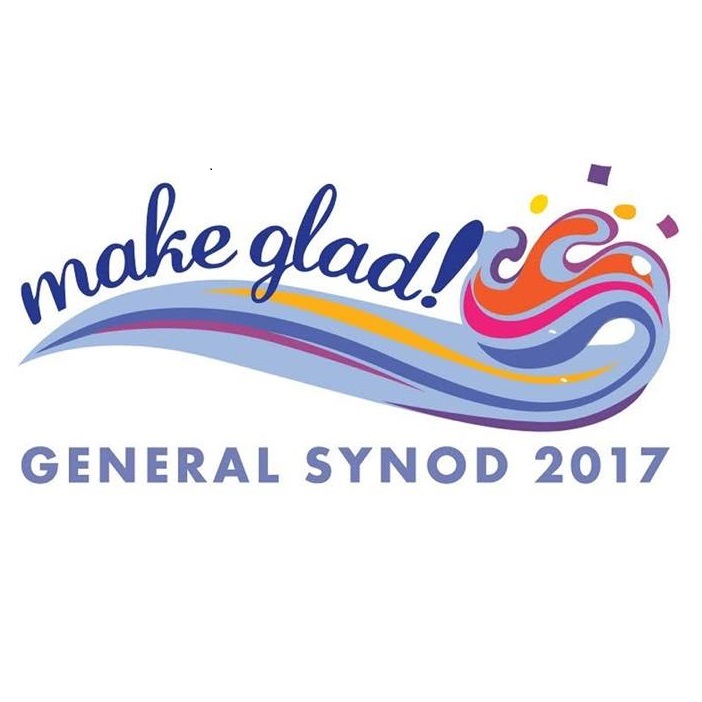 I’m honored to be singing at the General Synod of the United Church of Christ again this year. This national gathering of the denomination brings together several thousand delegates from around the country to consider where the church is being called next. I’m even more honored that 2017 marks twenty years that I’ve been writing and leading music at this event. Can you believe it? Between songs I’ve led myself and songs led by others, music I’ve written has been part of plenary sessions and worship at nine of the last eleven synods, starting in 1997. This year, in Baltimore, I’ll be leading a song of baptismal remembrance called “Already Done Walked” during opening worship on Friday. Early Saturday morning I’ll leading a song that was written to mark the agreement of full communion between the UCC and the United Church of Canada, called “Coming Together.” Also, I’m scheduled to play a set somewhere in the convention center, as one of a number of musicians who will be “busking” (no tips, please) during the event — keep your ears peeled! With any luck, recordings and sheet music for the two songs I’ll be sharing will be available for you to download soon. As with the last synod in 2015, I’ll be giving away this music for free for a limited time, hoping that congregations can sing the songs at home during synod weekend, AND hoping that those of you coming to synod can learn the songs in advance and SING OUT when the time comes! Stay tuned!